Be part of the cloud! Have you ever heard about cloud computing? Maybe it sounds like something too techy but, actually, it something is you use probably everyday. If you have ever accessed your e-mail online, paid your bills by Internet banking or shared a photo on Facebook, we have to let you know that you too are part of the cloud and maybe didn’t even notice. When you use your webmail, for example, you don’t need to download any special software onto your computer, once you send a message it won’t be saved on your hard disk, it will be hosted inside of a server which can be accessed from anywhere in the world that you have internet connection. 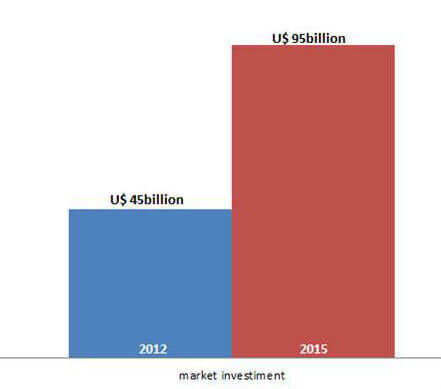 Everyday more and more SME companies are adopting cloud computing tools and technologies at different levels, companies investing in cloud technologies to reduce costs have invested U$45 billion in the market and research indicates by 2015 this will have grown 28%. Cloud computing is giving small businesses the opportunity to compete with the same enterprise horsepower of large companies that in the past were almost impossible to be able to be afforded. Cloud computing is transforming different kinds of markets and forcing large corporations to re-design their business models and must consider start-ups and small companies as potential competitors. How are SME’s are using the cloud? The market reports indicate the most popular cloud computing services that SMEs are using is webmail services. This service is followed by sharing files online, accessing online software such as webapps and backing up files to the cloud storage websites. 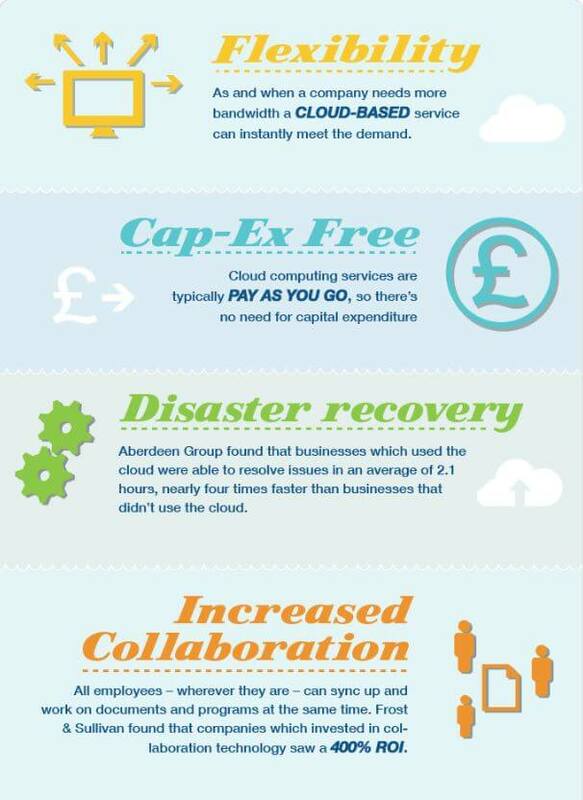 The main benefits that an SME can get from using the cloud more? With cloud products & services you no longer have to pay for an IT person or internal department to install and update software, manage email servers and backup important company information. Once you pay for a cloud computing service all the applications and maintaining service is the responsibility of the cloud vendor and happen automatically. Its like buying a brand new car today and then every time there is a new model you get it. File storage, backups and software upgrades don’t take only space in servers but also physical space. Storing your company files in the cloud means you are using someone else’s servers to store all this data , freeing up your internal computer equipment for other purposes or even letting you get rid of some of it. Cloud computing allows you and your employees easy access to applications and data from different computers and devices anywhere in the world. You are mobile and tied not tied one office desk. “As more consumers and businesses adopt tools such as smart phones and tablets, the ability to host data in the cloud and access it from just about anywhere on the planet is quickly becoming vital”, says Omar El Akkad in Outsource IT Headaches to the Cloud (The Globe and Mail). Since 2004 Magnet has been an enabler of cloud developments by providing the vital connectivity that takes 1,000’s of SME customers to the cloud and offers them valuable communication solutions to grow their business and grasp opportunities. One of our main cloud solutions is Magnet Voice – an Office Phone System completely managed on-line in the cloud. It does away with the need for expensive on-site office PBX systems and provides you with enterprise voice solution benefits and features at value an SME’s can afford. Its comes with accessibility over Magnet Voice’s Smartphone App, PC Softphone App and over a desktop phone. Your office number, anywhere! “Businesses are on the way up and Magnet’s mission is to take your business to the cloud” Mark Kellett (CEO of Magnet).